Explore some of India's finest national parks. This superb 18-day tour takes you into Corbett, Ranthambore, Kanha and Bandhavgarh in search of the tiger & more. If you're looking for a packed wildlife holiday, this is the one for you! Your Central India wildlife tour beings on arrival at Delhi airport where you will be met by our representative and transferred to your hotel. You can spend the day relaxing or exploring the Indian capital city. New Delhi, is one of the fastest growing cities in the world. The city is soaked in history and culture and has many fascinating places to visit. This amazing history is embodied in its ancient forts, beautiful gardens, historic monuments and vibrant markets. The bustling Chandni Chowk market and Dilli Haat, the historic Red Fort and Qutab Minar, the beautiful Mughal Garden, and so much more—the city has lots to offer a traveler. We leave New Delhi early in the morning after breakfast and travel to Corbett National Park (approx. 6-hour drive). After check-in at the jungle resort and lunch, you can explore the hotel grounds. Make sure you are well rested as you have an early start the next day on your tiger safari holiday! Corbett National Park is set in the Shivalik foothills of the Himalayas in the state of Uttaranchal. It is named after the famous hunter-naturalist, Jim Corbett. It is home to over 50 varieties of mammals, about 600 species of birds (Parakeets, Owls, Orioles, Drongos, Thrushes, Babblers, Bulbuls, Cuckoos, Doves, Bee-Eaters, Rollers, Flycatchers, Warblers, Robins and more)and about 25 reptilian species. 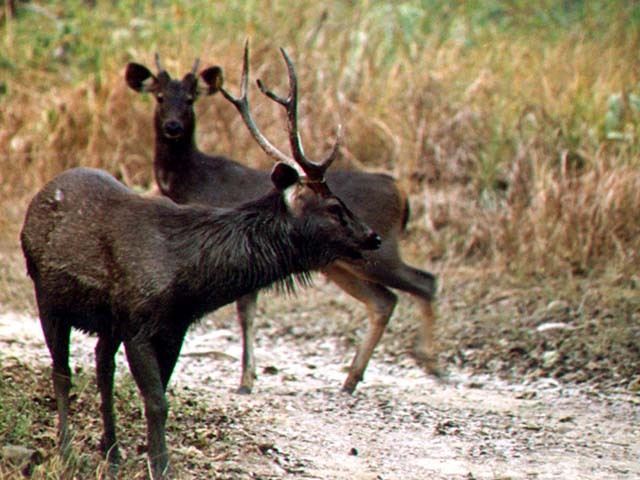 The pride of Corbett is of course its Tigers, Leopards and rare Gharials. Early morning,we will go on a jeep safari in Jim Corbett National Park to get acquainted with the forest. We return to the lodge for breakfast, and post lunch leave for an afternoon game drive. Late afternoon and dusk provide an excellent opportunity to sight animals. Its an early start for us on the following two days as well. If the opportunity presents itself, we may go on an Elephant Safari (subject to availability). Elephant safaris in Corbett are a great way to sight animals. The Elephants can walk through difficult terrain and also provide a vantage viewpoint for sighting animals. We will return to the lodge for breakfast. You can relax till it is time to go on our next game drive. While in Dhikala, we get to enjoy extensive safaris. In addition, we will visit the crocodile pool and Dhangarhi museum and interpretation center. Today, we start early for a morning game drive in Dhikala Range.The forest comes alive at dawn, when the deer and other animals start their day and you can sight herds of Chital (Spotted Deer). The forest is a beautiful sight as the mist disappears in the heat and animals come out of cover near waterholes, for their first drink of the day. We return to the lodge for breakfast and then drive back to New Delhi. You can spend the rest of the day sightseeing or just relax in your room. Today, after an early breakfast, we drive to the railway station to board a train to Sawai Madhopur. From there, we head for Ranthambore National Park. 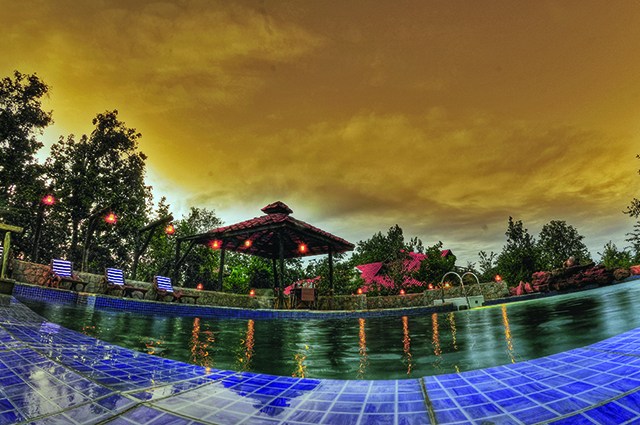 On arrival, you will check-in at the resort and can opt to spend the day relaxing or take a walk around the resort. Ranthambore National Park is encompassed by rocky hill crests, dotted with water pools and contains a number of temples and forts as well. It is very rich in wildlife. The Tiger population is the highlight of this park. In addition, one can also see a variety of birds such as the Peafowl, Cotton Pygmy Geese, Pheasant-tailed Jacanas and many more. The next two days in Ranthambore we start out early for a morning game drive in Ranthambore National Park accompanied by naturalists. We start at dawn to get the best chance of sighting animals. We return to the resort for breakfast. You can relax till after lunch, maybe go on a stroll in the resort. We then set out on an afternoon game drive and return at dusk. If time permits, we may visit the Ranthambore Fort. It is an ancient fort, built in 944 and was ruled by several generations of Maharajas of Jaipur. We go on one last game drive in Ranthambore and return for breakfast. You can spend the rest of the morning relaxing. After lunch, we head for Sawai Madhopur station to board a train to Katni. We will reach Katni around 8 a.m, after which a drive of about 2 hours will bring us to Bandhavgarh National Park. You can relax at the lodge after check-in until lunch. 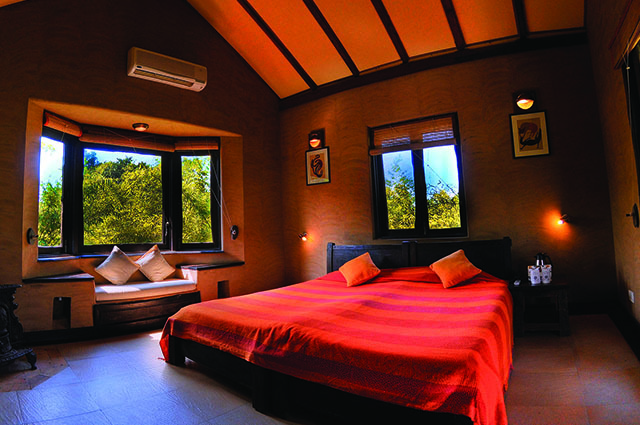 We will go on an afternoon game drive in Bandhavgarh and return to the lodge at dusk for dinner. 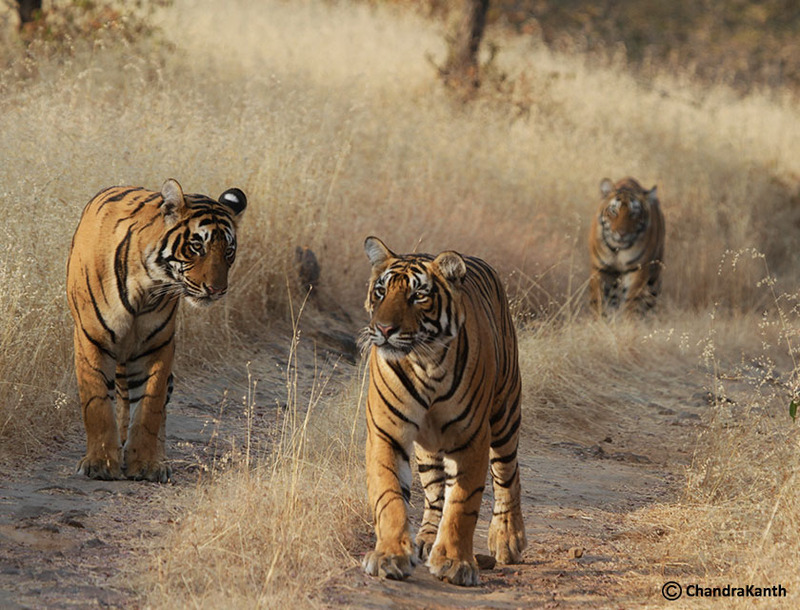 Bandhavgarh is best known for having the highest density of Tigers in India. However, the beauty of its forests also lies in the rich wildlife that lives within it - Leopard, Sambar Deer, Barking Deer and many more. Your day will begin with an early morning safari in Bandhavgarh. We hope to sight animals in the early hours of dawn. We will return to the lodge for breakfast and relax until after lunch. Our exploration of Bandhavgarh continues with an afternoon game drive. Our day will end by the bonfire accompanied by a delicious dinner. If the Elephants are able to track the Tiger, you will have the opportunity to ride an Elephant for a shortwhile to have a closer look at it. Today we head for Kanha National Park after an early breakfast (approx 6 hours drive). We aim to reach around noon. This will give us time for lunch and a little rest before the afternoon game drive in Kanha National Park. We advise you to get enough rest today as the next two days begin early and are packed! If there is time, we will drive to Bamni Dadar - the highest point in Kanha. The plateau offers a panoramic view of the entire national park. We have the opportunity of exploring the forest at leisure over the next two days. We will go on early morning and afternoon safaris in Kanha to increase our chances of sighting wildlife and maybe if we are lucky even the Tiger! You will begin both days with early morning safaris and picnic breakfasts. We will return to the lodge for lunch and in the afternoon, will head into the wilderness once more until dusk. Today after lunch, we will drive to Nagpur airport to catch an evening flight to Delhi (approx 6 hours by air). Our representative will meet you at Delhi airport and help you get to your hotel. This is the last day of your India Wildlife Holiday and you will be assisted to get to the airport for your flight back home.